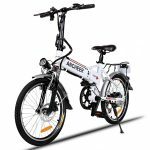 MOTOR & TRANSMISSION SYSTEM: 250W high speed brushless gear motors will easily assist you to travel at the 15mph road speed limit; 7-speed Shimano professional transmission system. 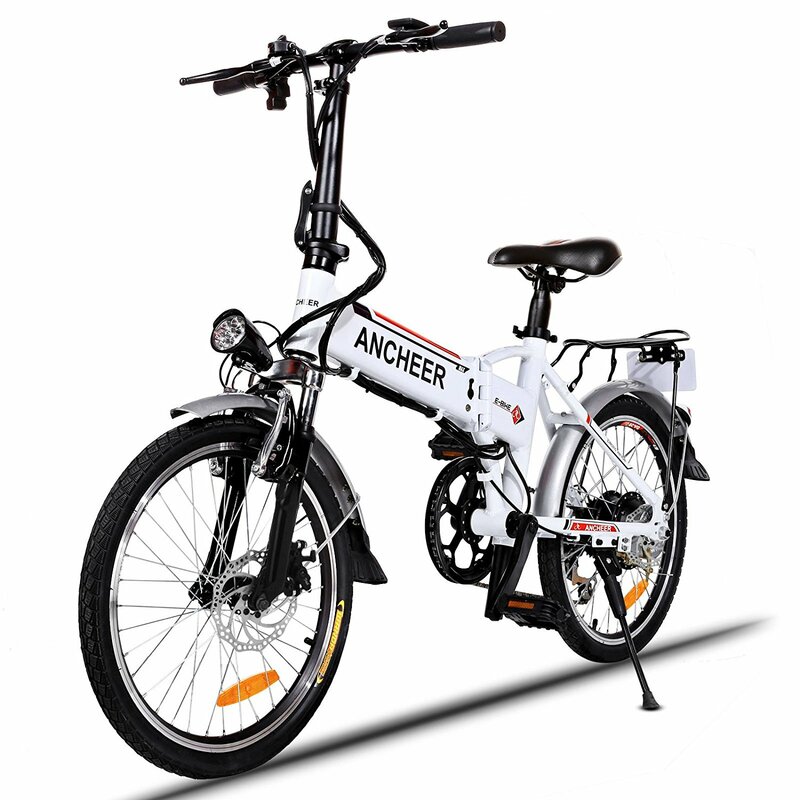 Ancheer Folding Electric Bike with 250W high speed brushless gear motor easily assist you to travel at the 15mph road speed limit. 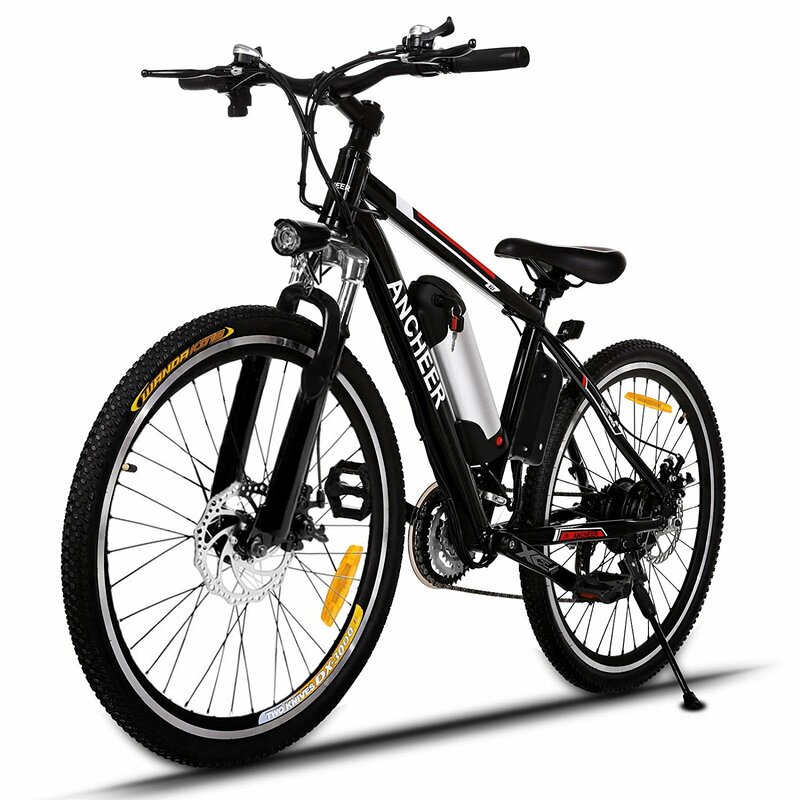 The removable 36V, 8AH lithium ion battery, equipped with smart lithium battery charger can make you ride up to 25-50 km. 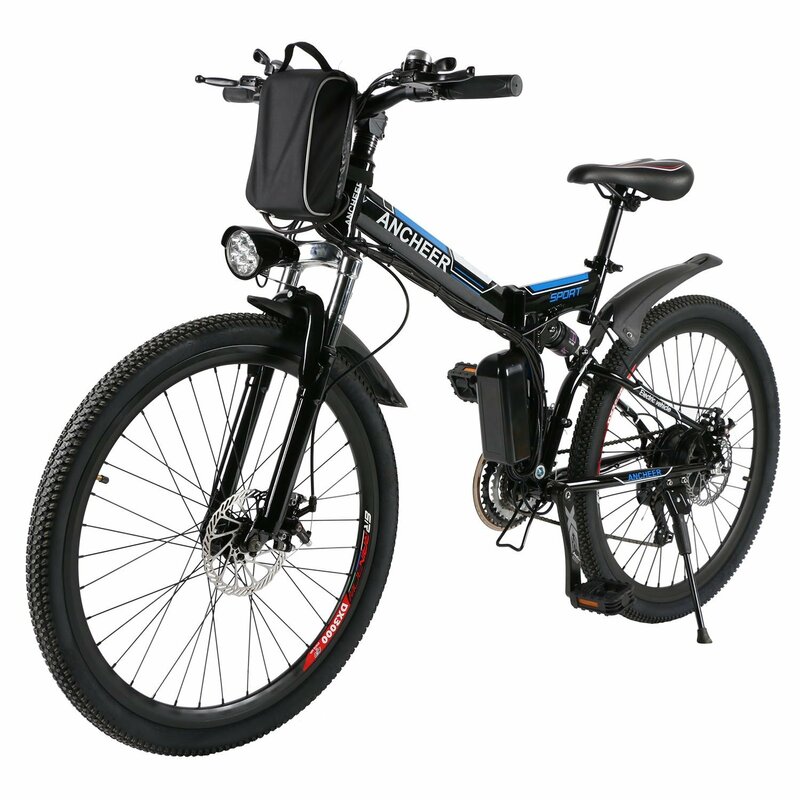 The e-bike adopts 100 percent light weight aluminum alloy frame and weighs 19KG/41lbs, making it a breeze to carry. You can also leave it anywhere of your office. Convenient and saves space and you time. Strong brakes and 7-speed Shimano professional transmission system offer all the qualities of a premium bike with the added feature of three pedal assist modes. 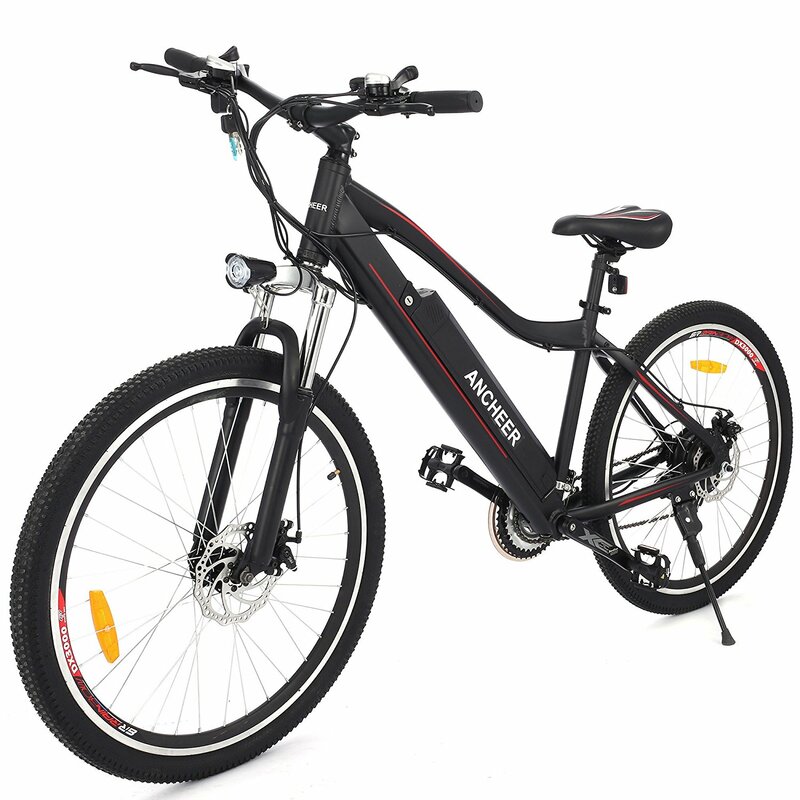 You can have it as a mountain bike or road bike, use it go for an outing on the weekends with your friends and family or as a vehicle for work. You deserve it. 36V 8AH Lithium ion Battery supports 25-50km/15mile-30mile. Equipped with smart lithium ion battery charger for fast charging (4-6 hrs). The removable lithium ion can be charged on or off the frame, which allows you to charge the e-bike expediently. Be careful of the safety use. Don’t attempt to release the connector when battery is on power. ● Avoid the risk of collision. ● Don’t modify system parameters to avoid parameters disorder. 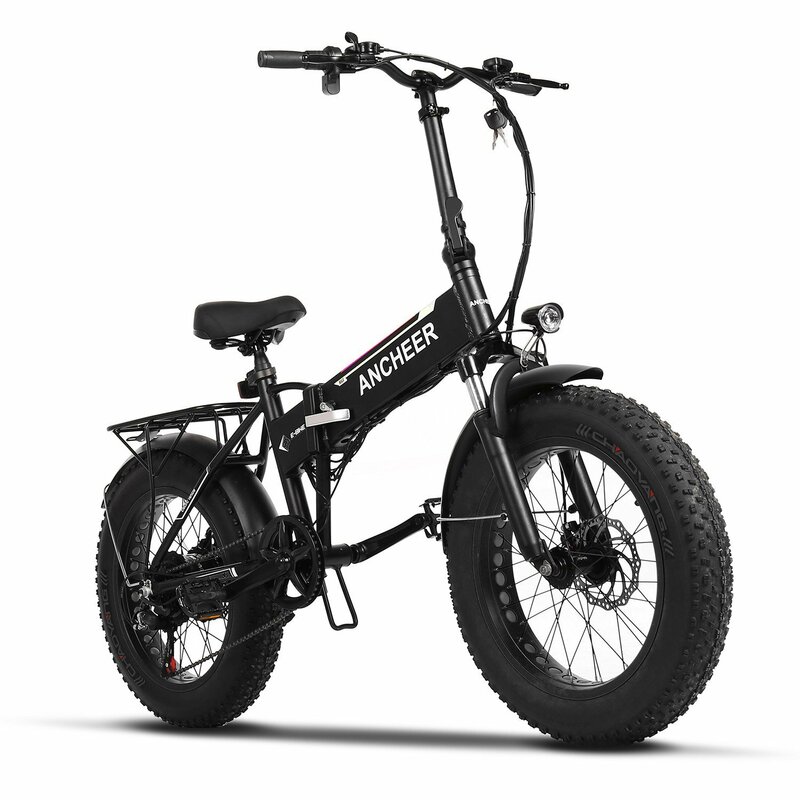 The e-bike adopts 100 percent aluminum alloy frame. The front fork is made of high-strength carbon steel and packed with premium comfort shock absorption. 20 Inch High quality anti-slip wear resistant tire is suited to different terrains. Comfortable mountain bike seat ensures you amazing riding experience. 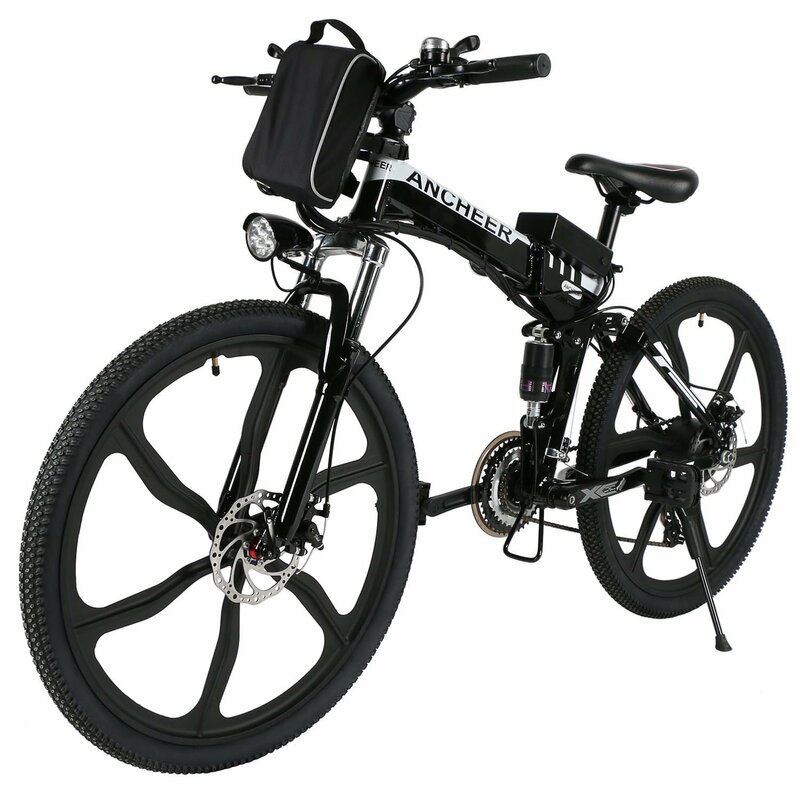 The e-bike adopts aluminum alloy collapsible frame for quick folding and easy storage. You can have it with minimal storage space and easily store into any vehicle. It is ideal for travelling holidays. Equipped with the latest and most efficient electric charge, advanced lithium ion technology and no leaky fluids, no oil changes and no nitrous oxide, methane, or HFCs from car air conditioners. 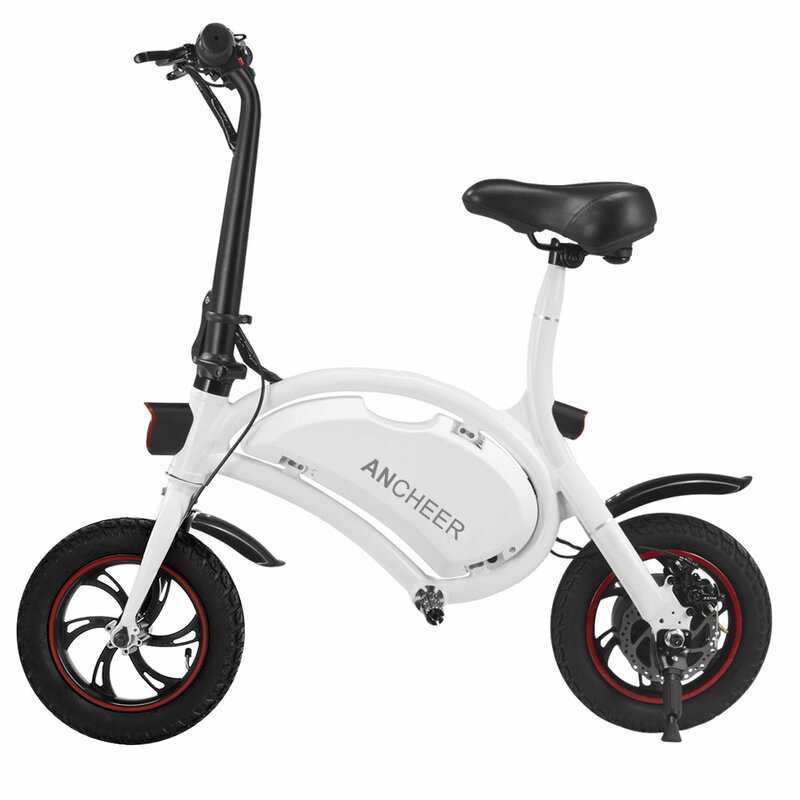 Ancheer folding bike is your best eco-freidly life partner.